Anyone had any experience with the Sierra 63gr smp varminter. Both accuracy and on game performance. Looking for a good alrounder for my 1:8" 223 - varmints, predator, goats etc. 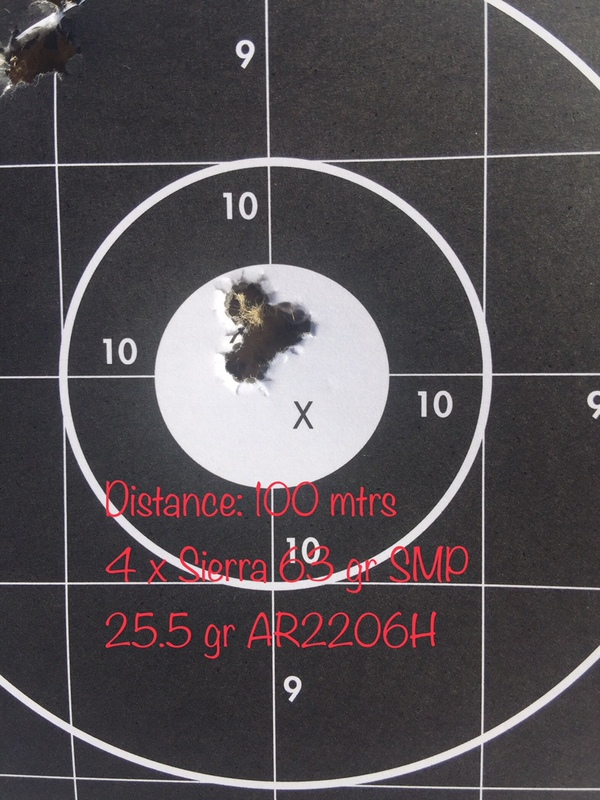 25.5 grains of AR2206H which is maximum load according to the ADI website but it's producing some nice tight 4 shot clovers at 100 metres. I've used the loads on Goats and it puts them down no problems and only shot one Sika deer which was through the neck so that doesn't really count. Another projectile to try which i've used ALOT on deer is the Sierra 55 gr #1345 and that kills deer & goats really well. 65gr Sierra is the better killer. My father and I have been using the Sierra 63gr SMP projectiles out of our 223 for a long, long time. They are an awesome bullet on deer including reds.